I did it. I had my frozen sperm placed in my uterus Now I have six mature eggs. I was blown away when she said six. She still gives me a 10% chance. Which I thought was funny when she said the medicine did great. She even used the words this increases your chances for success Then to still come up with the number of 10% chance. She did say that I reacted great to the medication. She didn’t expect me to react that well due to my test. Then I got the multiple talk again. Because there are so many eggs. She said people concerned about multiplies she would tell them not to do the second insemination. I said in a very serious tone. “I will be here tomorrow. She said do you have any questions. I said “no”. What you, no questions. You are the queen of questions. I said I am working on not worry about it. She said , good job!!! She also hit on a good point. She said I am sure you have done a ton of research. I told her to the point of obsession Now is the time to lay back and let it happen. I am still looking online. It is hard not to look online and see what happened to other people. I am in original so I can’t mirror their experience after mine. 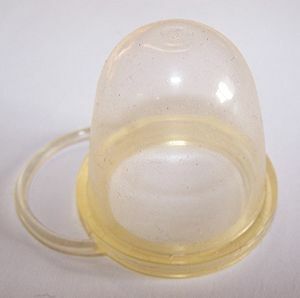 She put on a cervical cap. I hope I can get that thing out. Never used any device like that before. I am officially on my way. I still have the WTF did I just do in my head!! !